A free trade agreement with Tokyo could boost European GDP more than the controversial Transatlantic Trade and Investment Partnership, Czech MEPs say after coming back from Japan. EURACTIV Czech Republic reports. The EU-Japan FTA is expected to boost European economy by around 0.8 % of GDP and some analysts compare the importance of the deal with that of TTIP where the number is 0,5 % according to preliminary expectations. “If we look at the impact on GDP growth, FTA with Japan could actually be more important than TTIP,” ANO 2011 MEP Petr Ježek (ALDE), chairman of the European Parliament’s delegation to Japan stressed, after a recent trip to the country. Japan is the EU’s second biggest trading partner in Asia, after China. European exports to the country are dominated by machinery, transport equipment, chemical products and agricultural goods. Machinery, transport and chemicals are also the main items of imports from Japan to the EU. With the deal, EU exports could increase by 32.7 %, while Japanese exports to the EU would increase by 23.5 %, according to the European Commission estimates. The EU and Japan have been negotiating for over 3 years now, and there have been 16 rounds of negotiations – the last one took place in April in Tokyo. The next round of talks is scheduled for September in Brussels. At the last G7 summit held in Japan’s Ise-Shima at the end of May, political leaders from Japan, the EU, France, Germany, Italy and the UK reaffirmed a commitment to reach political agreement on the deal as early as possible this year. On Thursday (16 June), Japanese and European businesses supported this commitment when they met in Tokyo for a sector-to-sector meeting. “At a time of global economic uncertainty, this agreement provides a unique opportunity to create real growth for two of the world’s largest economies,” representatives of Keidanren and the EU employers’ confederation BusinessEurope said in a statement. But several difficult issues still remain to be cleared up. While Japan wants European duties in the automotive sector and agriculture waved, the EU is trying to link this to the elimination of Japanese non-tariff barriers (NTBs), especially in the automotive and railway sectors. Tokyo has already made a number of concessions on the first list of NTBs presented in December, however, the EU wants to see more on the second list before moving on its own tariffs. The European automobile industry is particularly concerned, and appealed to the European Commission to be careful about possible impacts of the deal. More Japanese cars are sold in Europe than European cars sold in Japan. “On the other hand, the Commission has been consulting its approach to this issue with the industry representatives. Therefore no dramatic problems should be expected,” MEP Ježek told EURACTIV.cz. Above all, only 32 % of Japanese cars sold in Europe are imported. Two-thirds of them are produced right in the EU. 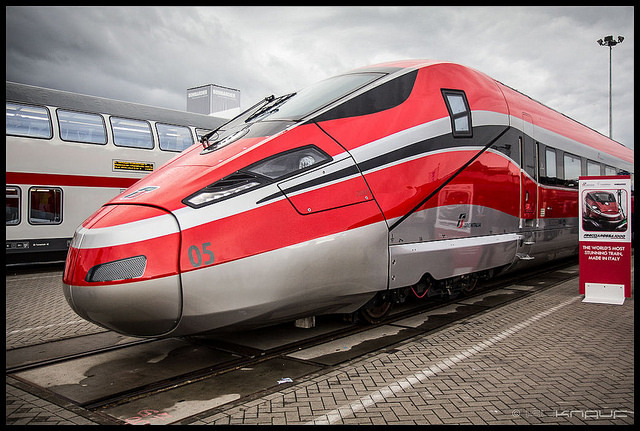 For the EU, access to the public procurement market in Japan is also important, especially for the European railway sector, which claims to lack a level playing field in the Asian country. On the contrary, the EU public procurement market is already open. 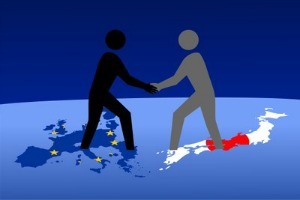 According to Křesťanská a demokratická unie – Československá strana lidová MEP Tomáš Zdechovský (EPP), the EU would benefit from concluding the FTA Japan as it could offer boost in Japanese investment in Europe. Japan is a major investor in EU states. “We often talk about investment from China as if we have forgotten about one of our most important and stable partners,” he says about Japan. 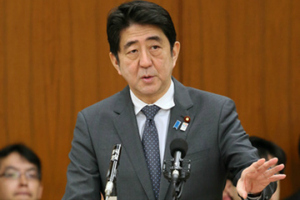 “Japan has been a stable and – most primarily – a democratic partner of the EU over a long term. They have been carefully following the situation in Europe, including the migration crisis,” EURACTIV was told by Zdechovský after he visited Japan as part of the Parliament’s delegation. “They share the same concerns with the EU and also their recipes for solving problems are similar to the European ones,” chairman of the Parliament’s delegation to Japan Petr Ježek (ALDE) says. According to him, a parallel can be seen in the EU-Russia and Japan-China relations. Together with the EU and the United States, Japan forms an important part of democratic world based on respect towards the international law and multilateralism, Ježek insisted. He sees the economic contacts among the three partners important as well. Together, the two economies account for more than a third of the world’s GDP. “This agreement would fit well into the overall context. The recently concluded Transpacific partnership (TPP) linked the US with the Pacific area. The Transatlantic trade and investment partnership (TTIP) would connect the EU and US. This triangle could set the global economic in motion,” Ježek said. The European Union and Japan agreed on 25 March 2013 to launch talks on one of the world's most ambitious trade deals despite opposition from European carmakers, a test of how far both sides are willing to go in their hunt for economic growth. Japanese Prime Minister Shinzo Abe, European Commission President José Manuel Barroso and European Council President Herman Van Rompuy discussed the plan by phone after Brussels postponed an EU-Japan summit scheduled in Tokyo for Monday to hammer out a last-minute deal to resolve the Cyprus financial crisis. The European Union and Japan agreed on Monday (25 March) to launch talks on one of the world's most ambitious trade deals despite opposition from European carmakers, a test of how far both sides are willing to go in their hunt for economic growth. Now Controversial ?!? But not with the Japanese ?!? We leave now Americans on the corner??? I hope on both ! !